Our range of products include dyed & printed bolster. Dyed & Printed Bolster are natural, breathable and hypoallergenic, available in different quality of Cotton, Foam etc. It has multiple shapes, uses & many ways of comfortable support. Premium fabrics and ingredients used are very comfortable, effective and long lasting. 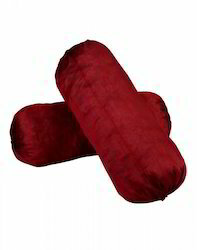 Also available are extra super soft Foam Bolster, Back Cushion, Foam Pillow covered with super fine cotton cloth with international quality standard and as per customized size & quality.